As you already know, Pabisa Hotels is a big-little family growing every day. Now we have four hotels at Playa de Palma and a fifth one is coming our way soon. And even though we have hundreds of guests every year, we manage to keep it familiar and really custom-made. At Pabisa Hotels we want you to feel like you’ve found your home away from home and come again and again. Pabisa Sofia is a 3* superior hotel with 328 double and single rooms to offer a unique and unforgettable holiday in Playa de Palma. There are 272 double rooms and 56 individual rooms that have been completely renovated and are equipped with satellite TV, safety box (with charge), air conditioning, a balcony and hair dryer. At the hotel you’ll find a restaurant, bar, computers with free internet Access, free Wi-Fi area, a game room with billiard, an outdoor swimming pool, free sun loungers and parasols at the pool area, a snack bar, a beach volleyball court, table tennis, gym and a conference room. Located only 300 metres from the beach, it’s a perfect place to enjoy Playa de Palma’s entertaining schedule. At Pabisa Sofia, just like at all the other Pabisa’s, our guests are what matters the most, which is why the team will always be happy to help with questions or requests, in addition to giving you great advice on what to do and where to go! At Pabisa Sofia you can also book the all inclusive plus program and Access breakfast, delicious lunch, show cooking, dinners and cakes, sandwiches and baguettes, coffee and biscuits and drinks (with or without alcohol) at the hotel bar during the times stated. 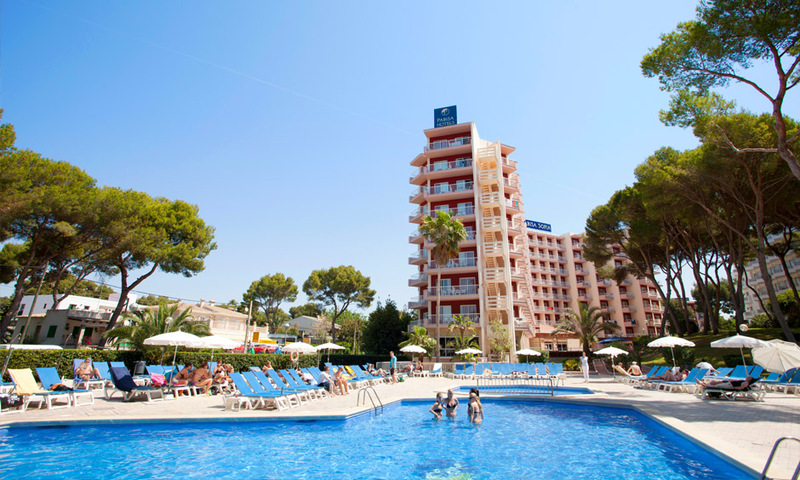 Enjoy your Majorcan holiday at Pabisa Sofia in Playa de Palma!